PHG congratulates and thanks Deanna Holman for her 16 years of service to the Comfort/Quality Inn and the Pinnacle family. 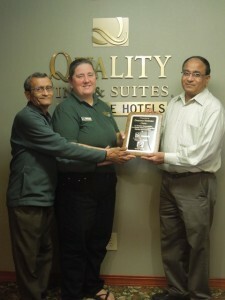 Deanna will continue as General Manager of the Quality Inn. Deanna started as front desk agent at the property and worked her way thru front office, assistant manager, eventually leading to General Manager.